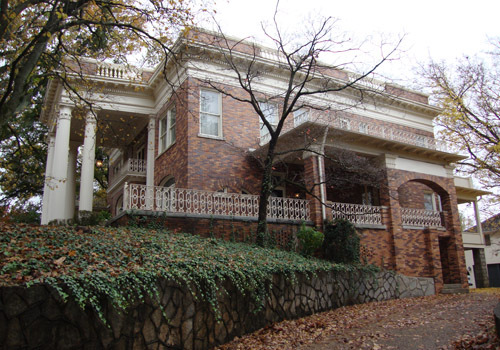 Perched atop Diamond Hill near downtown Atlanta is Herndon Home, the 15-room mansion of Alonzo Franklin Herndon, Atlanta's first African-American millionaire and founder of Atlanta Life Insurance Company. 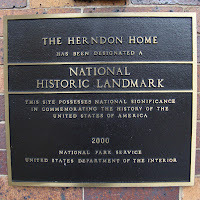 Herndon Home today stands as a symbol of struggle and achievement. Alonzo Herndon was born into slavery in 1858. He lived and labored on a plantation until he was 21 years old. He later founded a barber business that flourished. 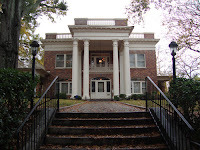 Soon thereafter, he entered the real estate business, purchasing and reselling homes and property in the Atlanta area. His fortune of millions came when he founded the Atlanta Life Insurance Company, which today spans states throughout the South and Northeast. 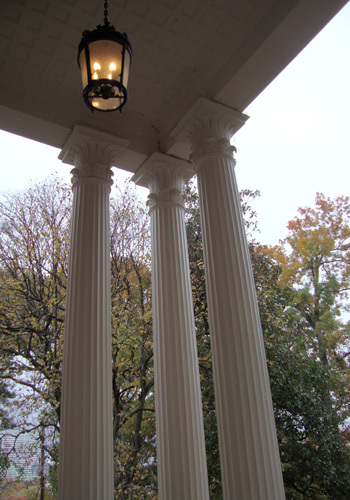 The home itself was primarily designed by Herndon's first wife, Adrienne McNeil, who was a theatre performer and an elocution teacher at Atlanta University. The room design and decor varies throughout the house, ranging from renaissance revival to rococo. Mrs. Herndon's love for the theatre prompted a flat roof on the house, which was where she would put on plays for visiting friends and family. Mrs. Herndon unfortunately passed away only three months after the completion of the home in 1910. Mr. Herndon remarried two years later. Jessie Gillespie was his wife for the remainder of his life. Tours of Herndon Home are by appointment only, but given the Home's proximity to Georgia Dome and Georgia Aquarium, it's easy to add it to one's list of must-see destinations for a day of touring Atlanta. The tour begins in the basement, accessible through the back door, which has been converted into exhibit rooms for displaying photographs, awards, books, articles and one of the original barber chairs from the Crystal Palace Barber Shop, founded by Mr. Herndon. The main floor tour includes the Receiving Parlor, which is beautifully decorated and features a unique, ornately carved staircase. The Piano Room was designed to honor the life of Herndon’s mother and features rococo styling and furnishing...quite elegant. The Living Room and Library is eloquently appointed and features an mural original to the house near the ceiling. The mural on one wall tells the story of Herndon's transition from slavery to success. The remainder of the murals feature depictions of what are presumed to be theatrical themes, denoting Adrienne's love of the stage. The Formal Dining Room was reserved for guests and parties. Meals of a less formal nature were taken in the Breakfast Room, which is flooded with natural light and adjacent to the dining room and back porch. The Butler's Pantry and Kitchen are also on the main floor and feature mostly original furnishings, including a state-of-the-art 1970s stove (the microwave, however, was added after the family released the home for historic preservation). The upstairs portion of the tour takes you through the home's four bedrooms…very few for the size of the house, but it was designed for a small family (and grandeur, too). Adrienne's bedroom, which would become Jessie's, is reminiscent of that belonging to a Hollywood legend, complete with a fireplace, hand-carved furnishings and a posh dressing room. Mr. Herndon's bedroom is masculine, not nearly as elaborate as his wife's, but sufficiently large enough to denote wealth and comfort, without being pretentious. Herndon's son Norris lived in the home until 1977. His room is appointed in the signature postmodernism style of the 1970s and includes the tube television and rotary dial telephone Norris used. In one corner is a rocking horse that belonged to Norris as a child, also seen in a photograph in the hallway. 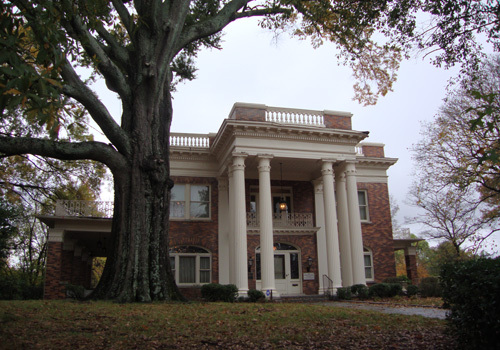 Today, Herndon Home is managed by The Alonzo F. and Norris B. Herndon Foundation, part of Atlanta Life Insurance Company. Restoration efforts continue so that the Home will remain for many in the future a beacon of possibilities. 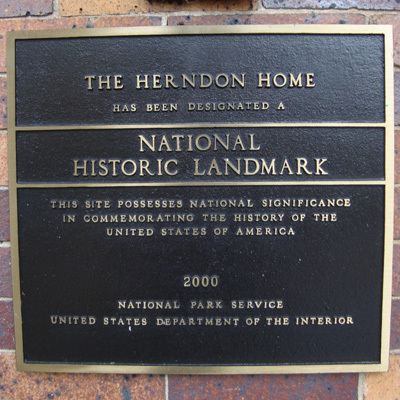 When planning your visit to Herndon Home, keep in mind that tours are by appointment only and photographs are not permitted inside the house…wonder and awe during the tour are encouraged. Will history repeat itself with a return to Herndon Home? I'm keeping an eye out for special events at the Home. I hope the restoration efforts meet with success and if I can help by attending an event in such an elegant, beautiful home, then count me in.